According to Wikipedia, “nuraghe is the main type of ancient megalithic edifice found in Sardinia, developed during the Nuragic Age between 1900 and 730 BCE. 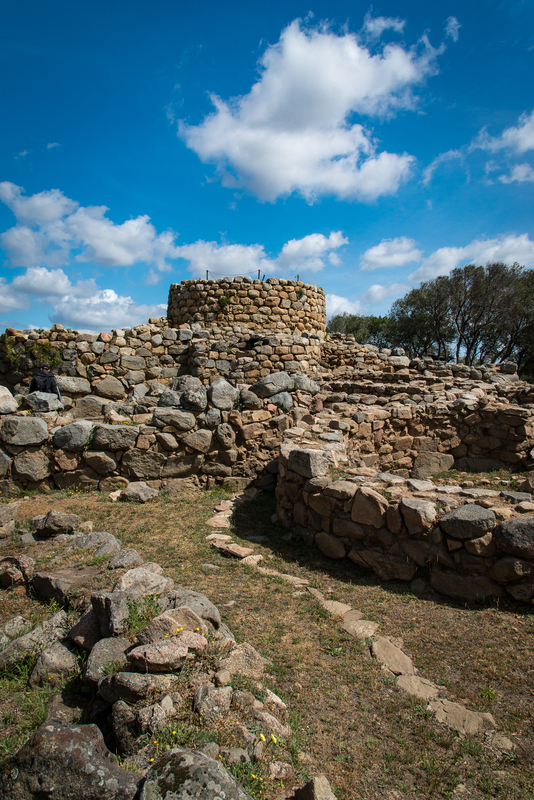 Today it has come to be the symbol of Sardinia and its distinctive culture, the Nuragic civilization. More than 7000 nuraghi have been found, though archeologists believe that originally there were more than 10,000.” We began our journey with the archeological complex of Lu Brandali, which is an amazing piece of ancient architecture.